An evaluation of domain names used by small businesses. If you missed it, here’s part one in this series where I evaluate the domain names used by small businesses that are sponsoring a community center. In this second post, we’ll evaluate the last six banners. Surnames can be difficult to remember how to spell. 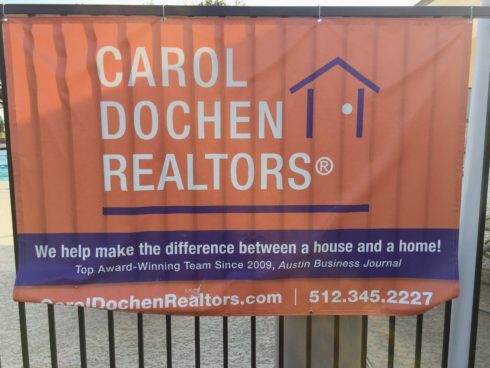 But in some ways, I like this better than a generic Austin real estate domain names because selling real estate is often about your personal brand. I suspect the reason there’s only a phone number is that this is a sale person for a larger company. He probably can’t have his own website. Not having a domain is one thing, but not having any contact details (not even an address) is baffling. It’s long but memorable, and Spicewood Springs is a popular street in the area. Great domain and great positioning on the banner. Another case of surnames being hard to spell but a notable brand. The post Domain names at a community pool Part 2 appeared first on Domain Name Wire | Domain Name News & Views.